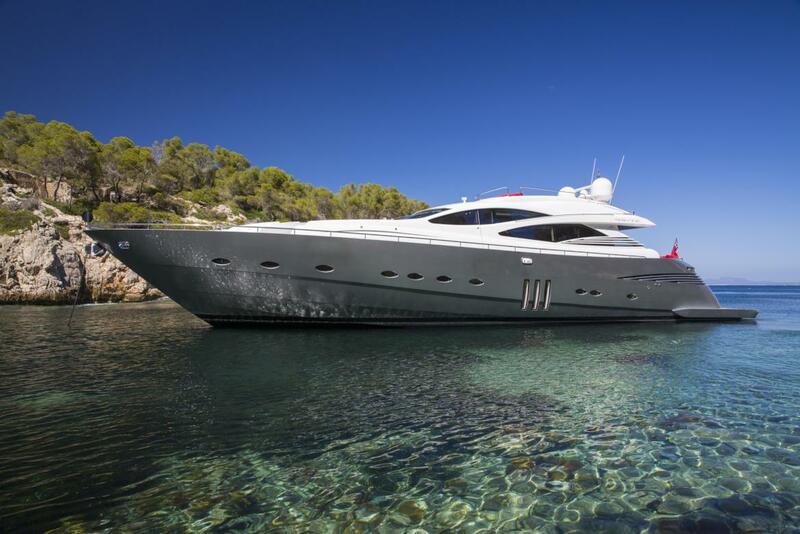 MY Maximo (ex Zeus) is a 90 foot 2007 motor yacht created by Pershing Yachts. 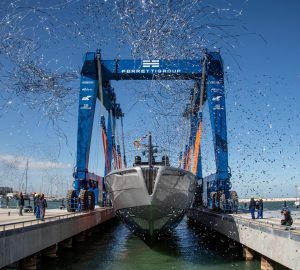 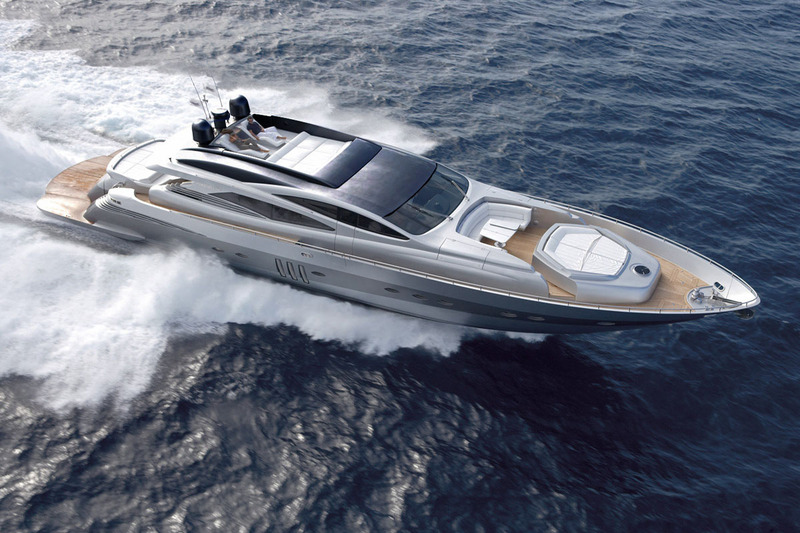 In line with the Pershing philosophy, the Pershing 90' is a new, aggressive, captivating and revolutionary Open Yacht, presented first time at the 28th Festival of Cannes. 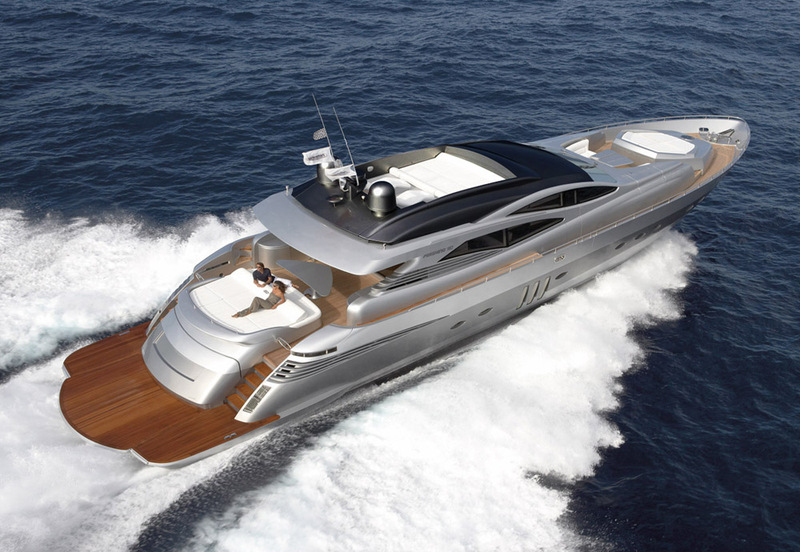 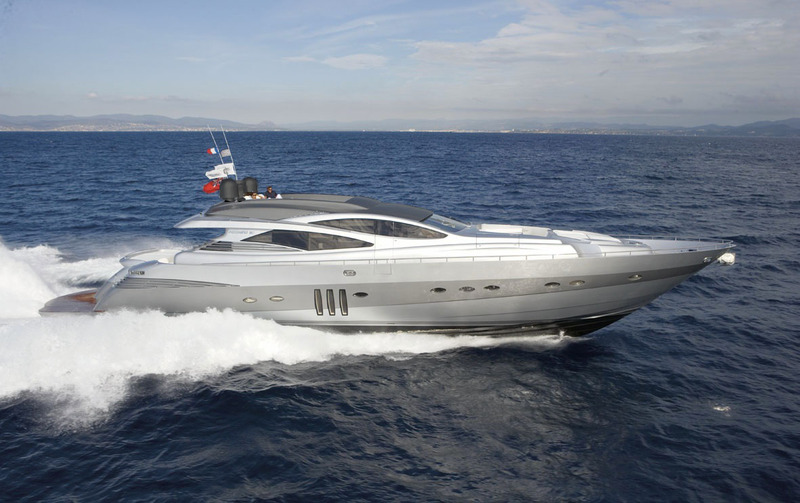 The Pershing 90 combines remarkable size with seaworthiness, speed with comfort. 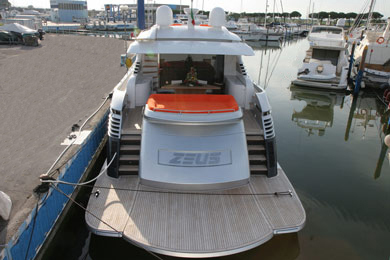 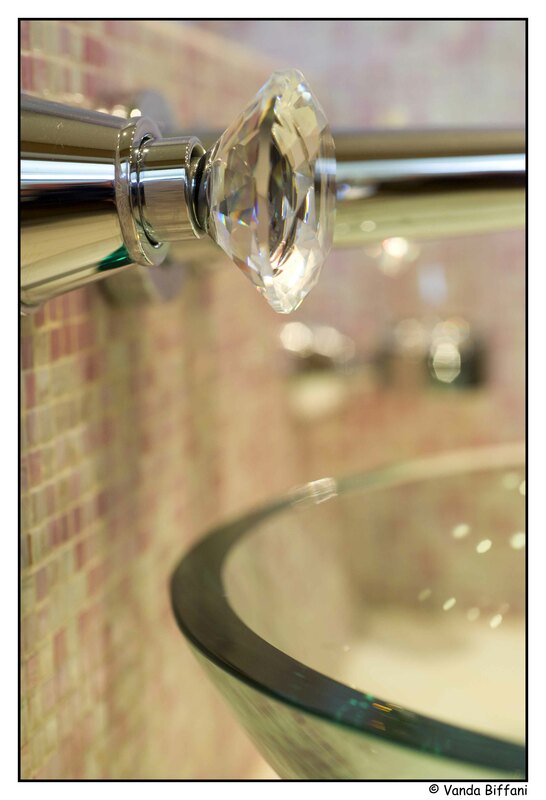 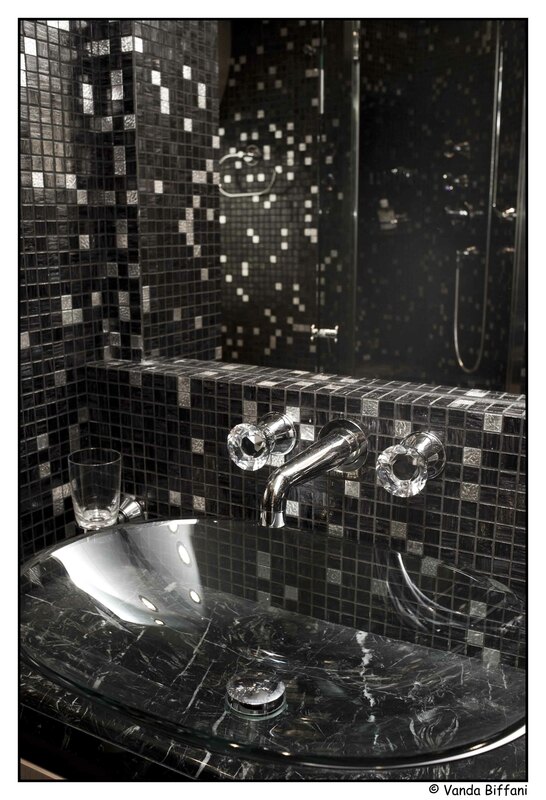 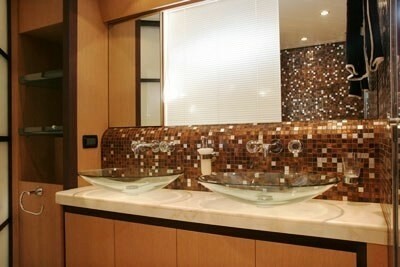 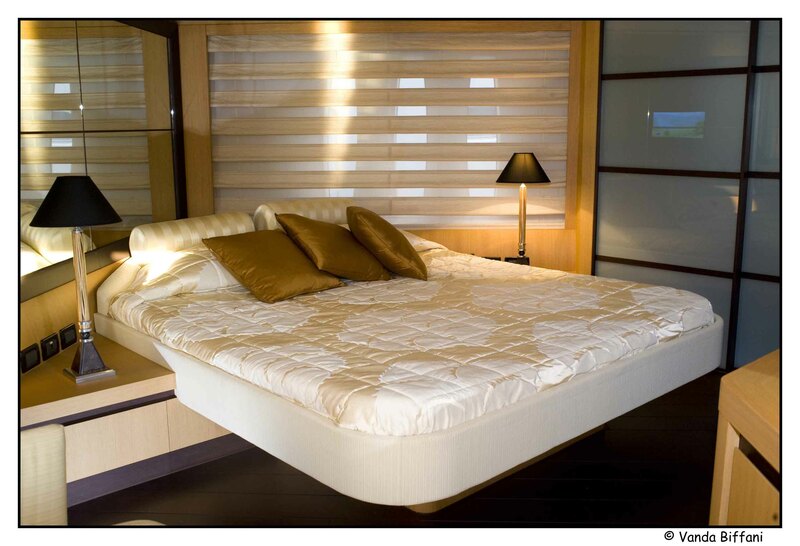 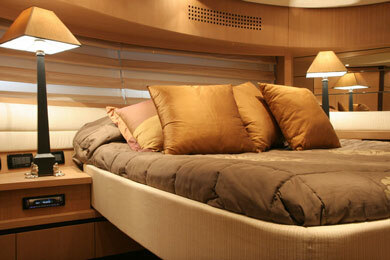 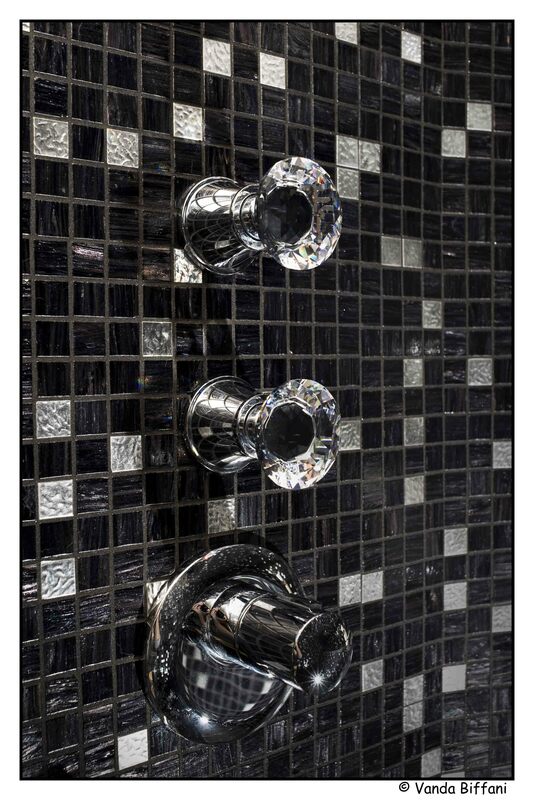 Particularly on ZEUS, the Owner asked for special careful attention to details and decorations. 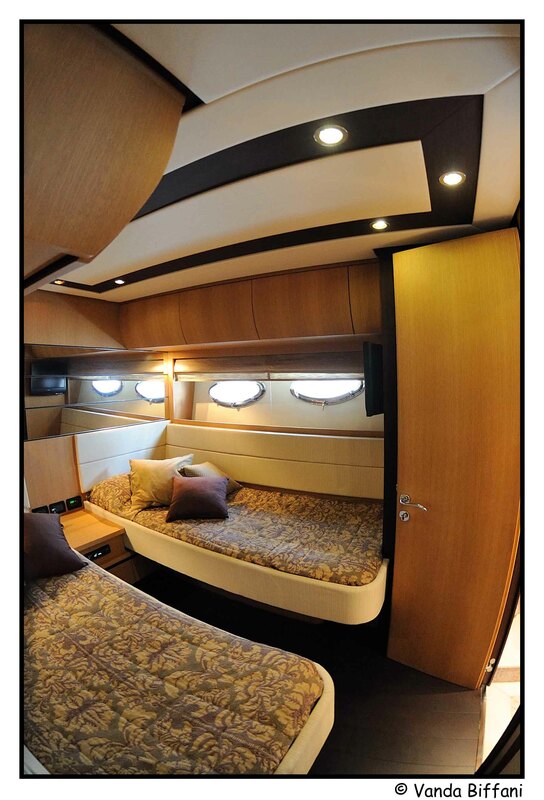 She has the look and the character of a megayacht. 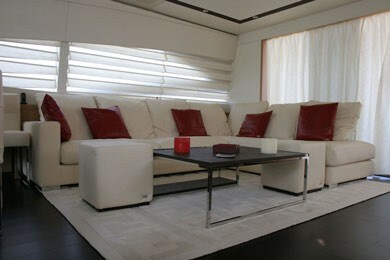 Her upper saloon is a very wide unique open space, with comfortable dining table and FENDI accessories and sofas. There is a very clear division between the night area and the galley + crew's quarter (at stern). 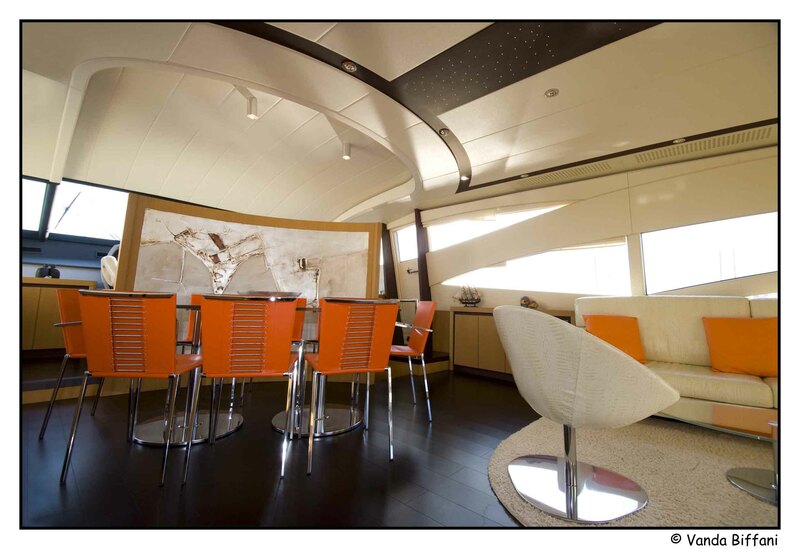 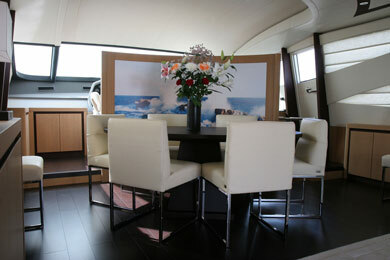 The Pershing 90 has a very comfortable cockpit is area with a sofa and dining table. 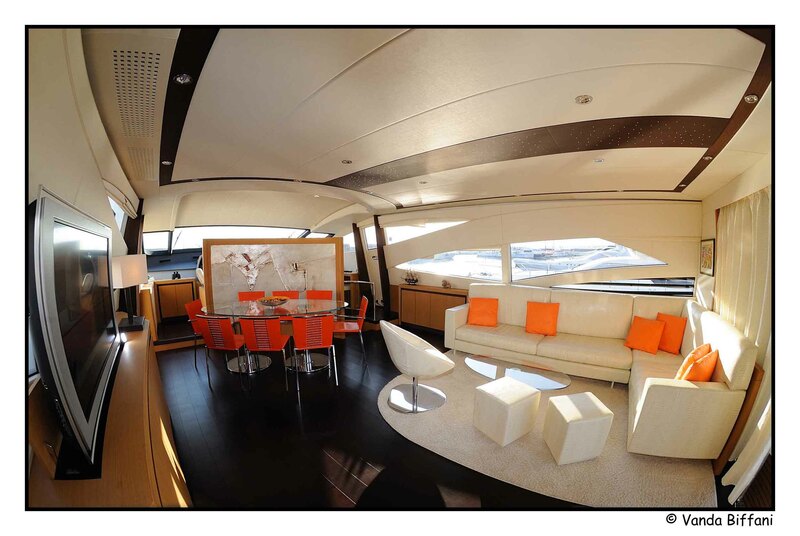 However the innovation of Maximo (ex Zeus) is based especially on the solarium, which is a very private area, almost a kind of flyingdeck, with a large cushion and a comfortable sofa, facing forward even when cruising. 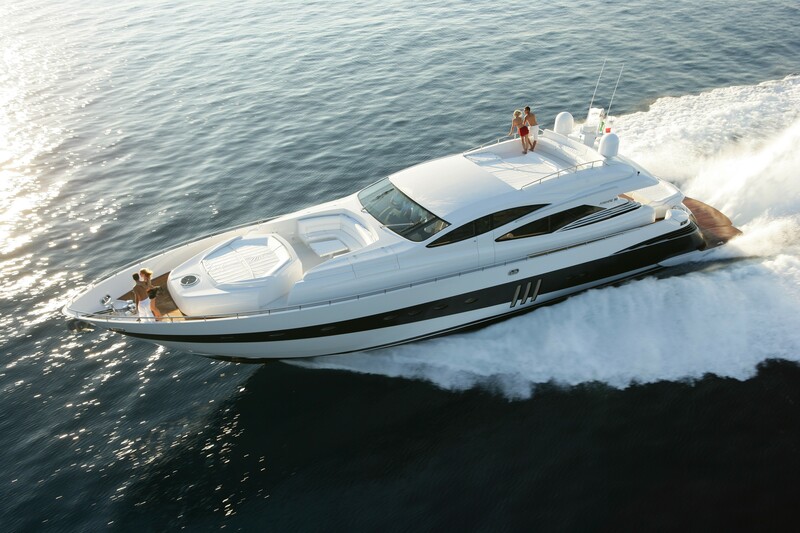 On Maximo's stern, over the engine room, there is a garage, where a good tender (with Hydrojet engine) and a Jetski Seadoo can be stored. 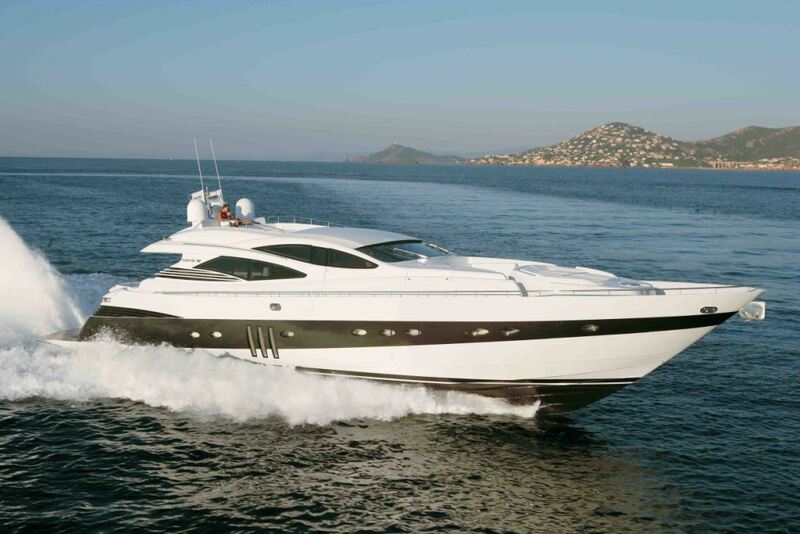 There are 2 new even more powerful MTU 2400 engines, coupled with new Arneson (ASD 16L). 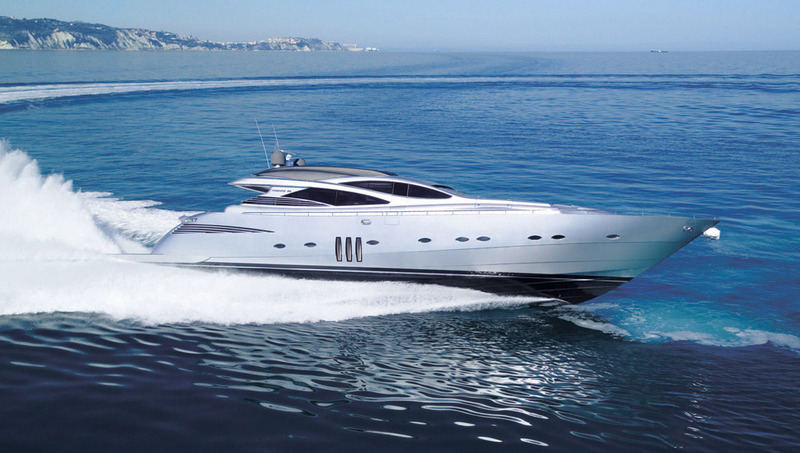 This power and speed (38-44 knots) allows Maximo (ex Zeus)to become one of the most amazing and luxury fast motor yachts on the charter market. 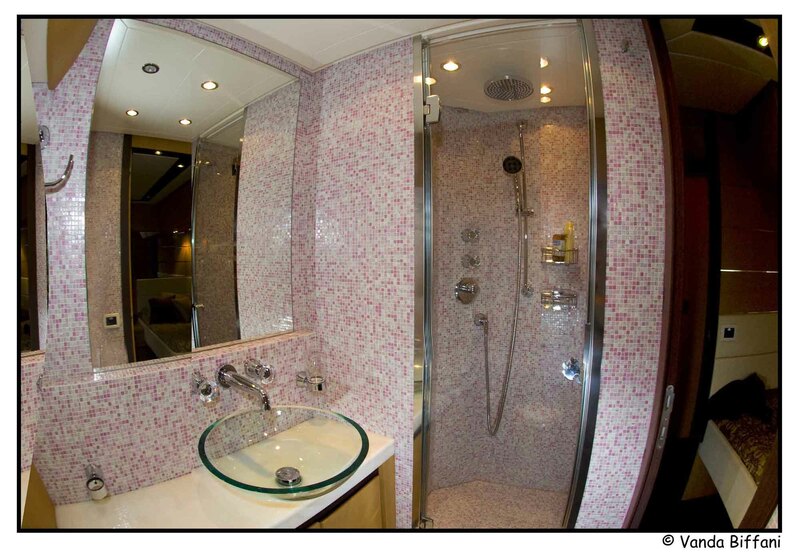 Maximo Guest Accommodation: Master with double bed, leather floor, very particularly decorated, ensuite bathroom with shower and bidet. 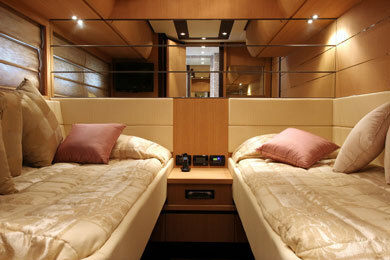 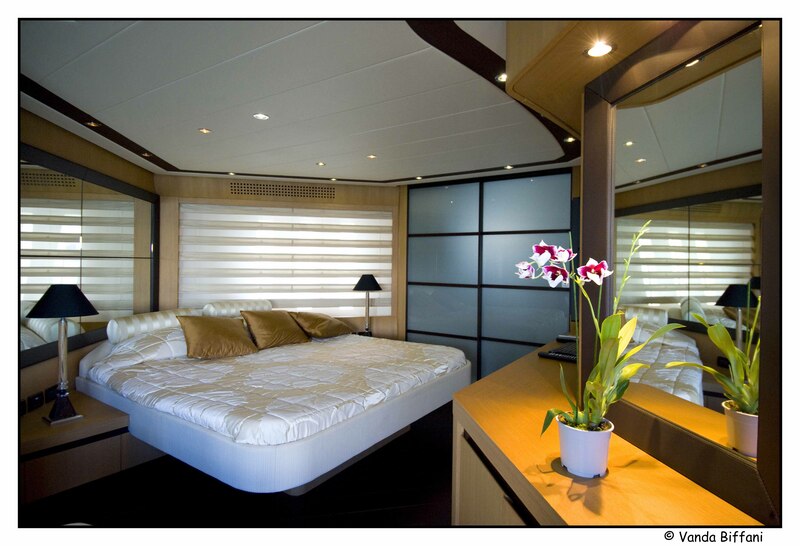 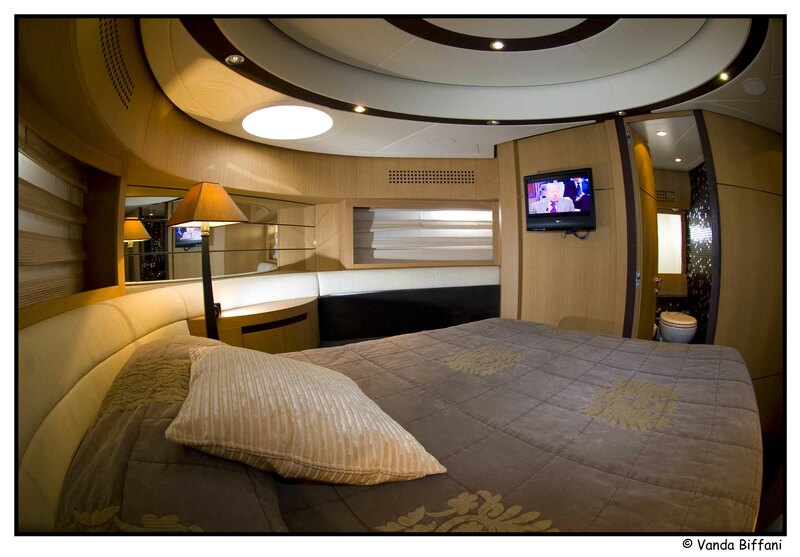 VIP cabin with double bed/ensuite bathroom with shower and bidet. 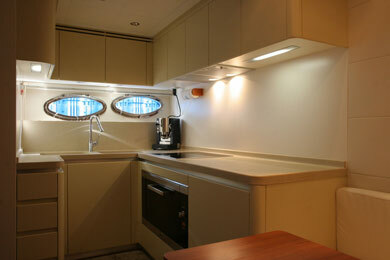 2 guests' cabins, twin bedded, ensuite bathroom with shower. 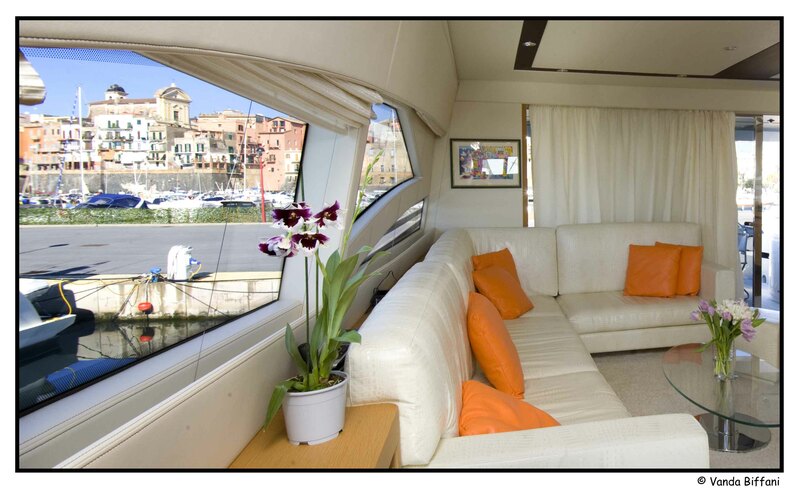 Downstairs, in the rear part, very well equipped galley with sofa and dining table for the crew, completely separated from guests' accomodation, and close to the crew's quarter (2 cabins, 1 bathroom and laundry). 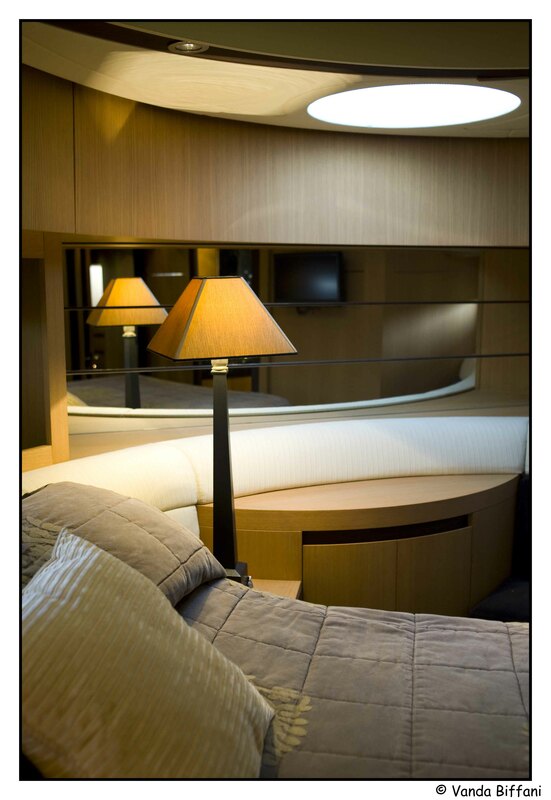 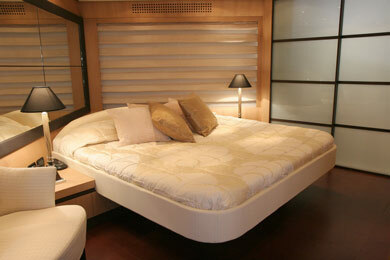 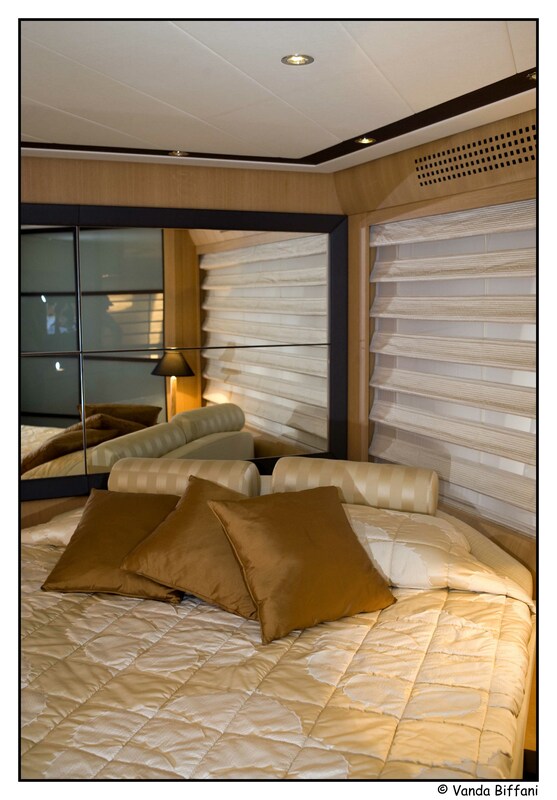 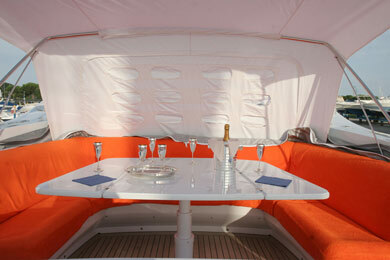 On the main deck personalized saloon with Fendi sofas and furniture. 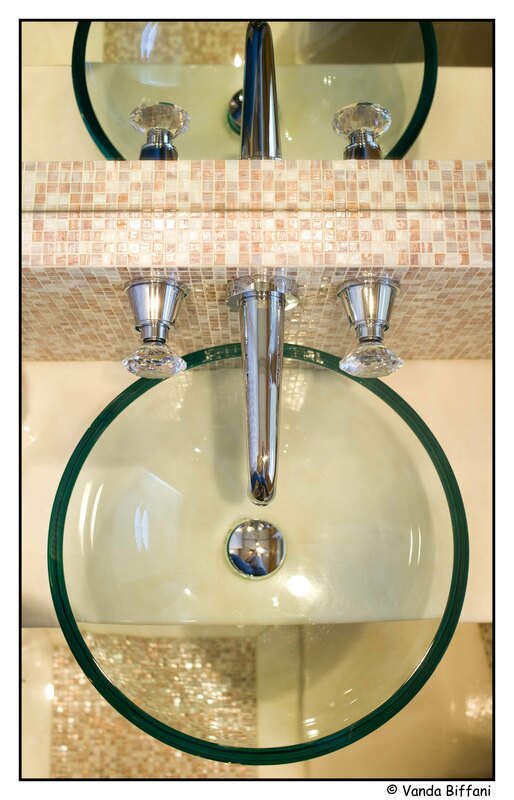 Daily use bathroom at the entrance of the Owner's cabin, could be used also as second toilette for the Master Cabin. 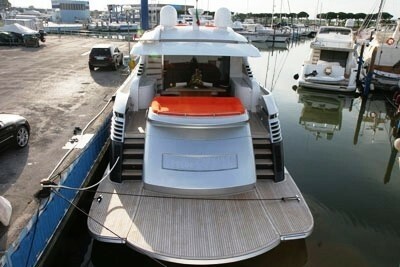 Tenders & Toys: Zodiak with Hydrojet engine, Seadoo Jetsky, donut, kneeboard, inflatable canoe. 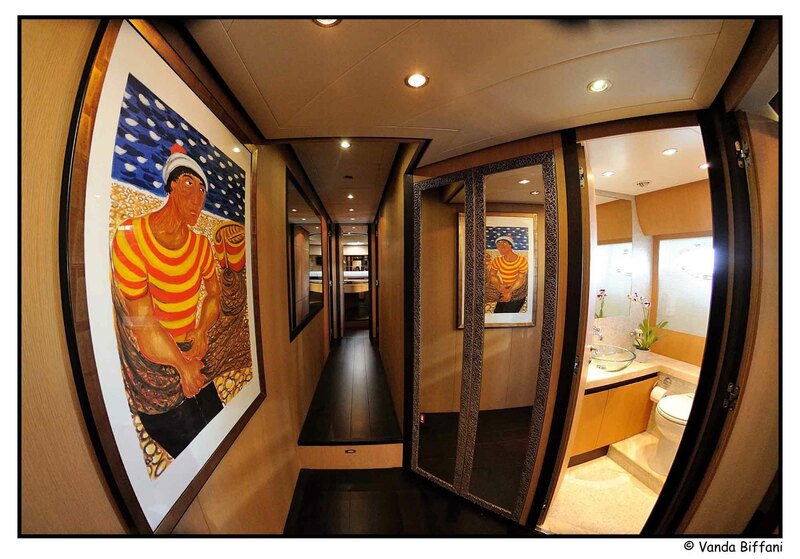 Audio Visual Equipment and Deck Facilities: TV & DVD in each cabin TV & DVD in the main saloon and in the crew's quarter Deck shower, sundeck on the upper deck with sofa.